The Aberdeen manager was speaking ahead of Saturday's Scottish Cup tie v Stenhousemuir. 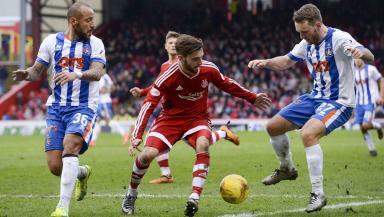 Derek McInnes has denied that Aberdeen captain Graeme Shinnie is close to agreeing a pre-contract deal with English Championship side Wigan. The 27-year-old midfielder will be out of contract at the end of this season after spending four years at the Pittodrie club, but McInnes is hopeful he can convince him to stay. The Dons boss is good friends with Wigan manager Paul Cook, who called him to insist there was no truth in the rumours. McInnes said: "I think it's just that time of year when you need to take a lot of things with a pinch of salt. "You always need to deal with certain things during this window but we are also busy at the minute trying to add to the squad rather than dealing with other stuff. "I am actually quite relaxed about speculation, it is par for the course really when you are manager of Aberdeen. "I know Paul Cook, the Wigan manager, he is one of my best friends in football, and he was quick to phone me and say there was absolutely nothing in it. "So I am not going to react every time there is speculation about a player coming here or one of my players moving elsewhere. 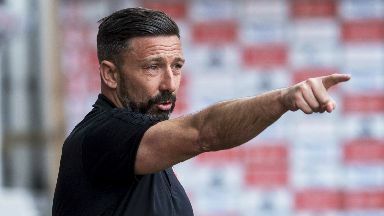 "I certainly think he is more than considering staying at Aberdeen, but Graeme did say to me back in September or October that he just wanted time to consider everything now and, as I said before, he is quite within his rights to do that. "He did indicate that he would let me know in January and we still have a lot of the month to go. 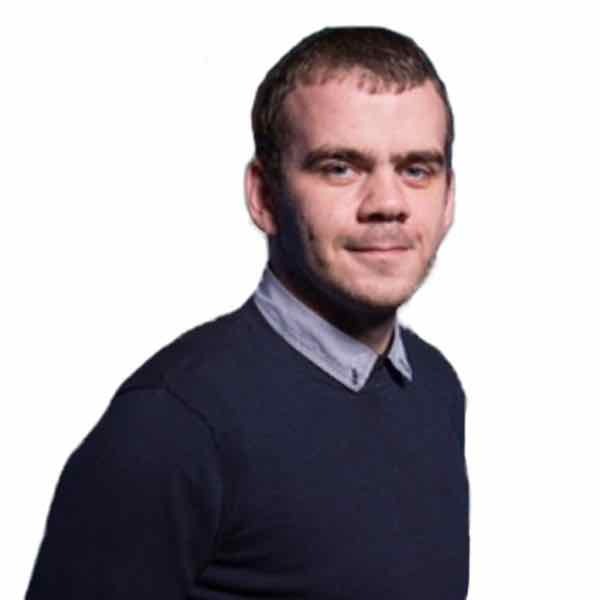 "Wigan manager Paul Cook is one of my best friends in football and he was quick to phone me and say that there was absolutely nothing in the speculation." "At the minute my concentration is on trying to get players in if we can, but if Graeme wants to come and see me then the door is always open. "We have a really strong relationship and I am hopeful that we can still find a way to get Graeme to remain at the club." Aberdeen, who currently sit fourth in the Premiership three points behind leaders Celtic, have just returned from a winter training camp in Dubai. They will be back in competitive action at Pittodrie on Saturday against League One side Stenhousemuir in the Scottish Cup. McInnes said: "We are looking forward to the tie, we got back from Dubai to contrasting conditions with the snow but there is a spring in our step and everybody is eager to get back to business."